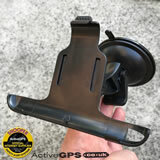 Looking for accessories and parts for the Snooper MY-SPEED XL GPS speed camera detector? 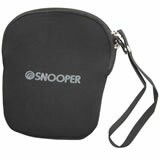 We sell genuine Snooper accessories for the MY-SPEED XL. So whether you're looking for a new or replacement car charger, carry case or windscreen mount, ActiveGPS is the place to buy. Browse our extensive list of MY-SPEED XL spares and parts below and buy with confidence knowing you're getting the correct manufactured part for your Snooper GPS device. IMPORTANT: Accessories on this page are strictly for the Snooper MY-SPEED XL ONLY and are NOT compatible with the earlier and smaller Snooper MY-SPEED and Snooper MY-SPEED Aura models. All of the MY-SPEED XL accessories marked as 'in stock' are available today and can be delivered as quickly as the next working day delivery when you choose our Next Working Day Delivery at £9.99. If there is no urgency when you receive your order we offer FREE UK delivery on all orders of £40 or more (delivered typically 3-5 workings days). We also deliver right around the world, prices start from £14.99. please see the basket pages or delivery page for more information. Snooper MY-SPEED XL vehicle power cable provides power to your Snooper MY-SPEED XL GPS camera alert system in your car, van, motorhome, etc. Simply plug into your vehicles 12 volt or 24 volt cigarette lighter adaptor and you are ready to charge or power your MY-SPEED XL. Hardwire your Snooper MY-SPEED XL speed camera detector into your vehicles electrical supply with this genuine Snooper hardwire power cable. Once installed the hardwire power cable provides power to your Snooper MY-SPEED XL without the need of the vehicle charger (accessory above). 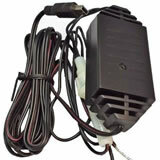 Power and recharge the Snooper MY-SPEED XL internal Li-ion battery with this genuine Snooper AC USB mains charger. Please note: Snooper MY-SPEED XL mains charger includes UK adaptor only. Update your Snooper MY-SPEED XL speed camera detector with the latest speed cameras locations, annual speed limit updates by using this USB cable. 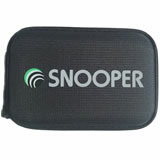 The USB cable provides connection between your Snooper MY-SPEED XL GPS device and your PC. 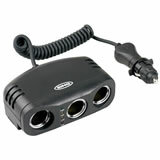 Buy the Ring 3-way, 12 volt multi-socket adapter and add additional cigarette lighter sockets to your vehicle to power up to three devices such as, phones, sat navs, speed camera detectors and more. The power cable is a 1 metre coiled cable. 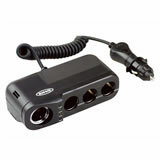 Buy the Ring 4-way, 12 volt multi-socket adapter and add additional cigarette lighter sockets to your vehicle to power up to four devices such as, phones, sat navs, speed camera detectors and more. The power cable is a 1 metre coiled cable.